Hand drawn, colorful collage of golf drivers on black ripstop material. Accented with rich black faux leather trim and silver colored hardware. 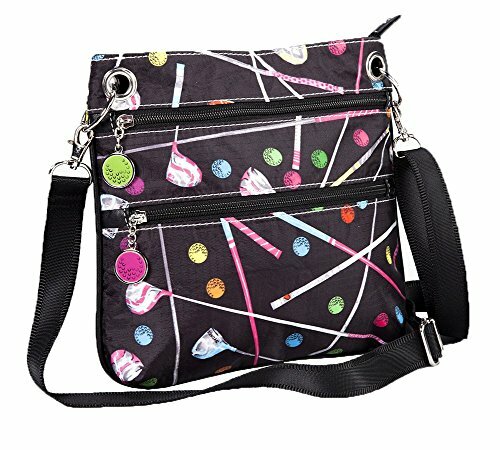 Two front zippered pockets with golf ball zipper pulls. Back zippered pocket and top zip entry with golf ball zipper pulls. Interior fully lined with signature Sydney Love polka dot lining. Two interior slide pockets, perfect for cell phone and other small accessory storage.